Sack Tip Stations are designed to allow safe deposit of 25kg sacks at a better working height. These also provide a Health and Safety aid to any application. 1. Place the sack onto the front shelf of the hood and cut it open, emptying the contents into the hopper. 2. The hopper will then feed the contents to your Trantec Screw Conveyor or Metering Screw Feeder, or to your existing process machinery. 3. To the front of the hood there is a dust curtain. 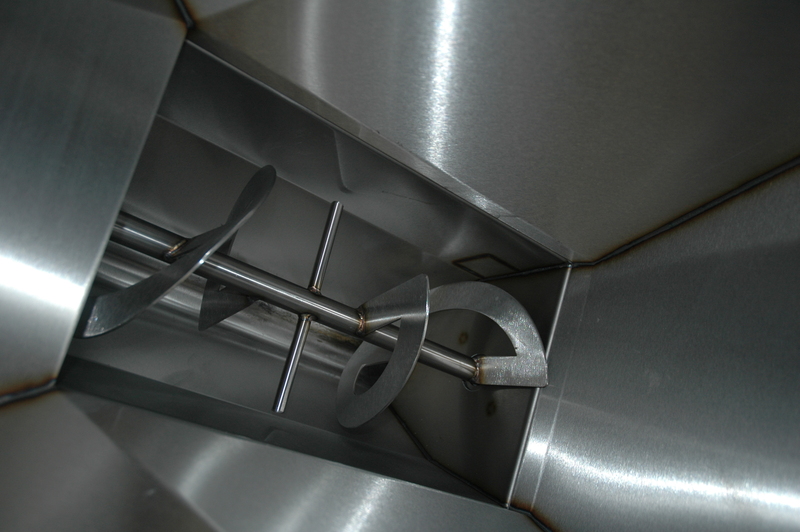 This contains the dry bulk solids, thus reducing the cross-contamination or dust clouds. Trantec’s Sack Tip Stations are used in food, pharmaceutical, environmental, plastics and chemical industries. They are available in Mild Steel, Stainless 304 and Stainless 316 and can also be integrated into your existing process. We offer the following upgrades for Sack Tip Stations.